Hanksy is like Banksy but with a dash of Tom Hanks, which makes everything better and funnier. The artist known as Hanksy enjoys adding wit and whimsy to anonymous street art, and that has extended this month to the New York Comedy Festival, to Jim Gaffigan, and to the artist’s own gallery exhibit in NYC’s Lower East Side. Above is the artwork Hanksy made of Jim Gaffigan. Gaffigan extended his thanks to the artist personally, as pictured here today on Twitter. 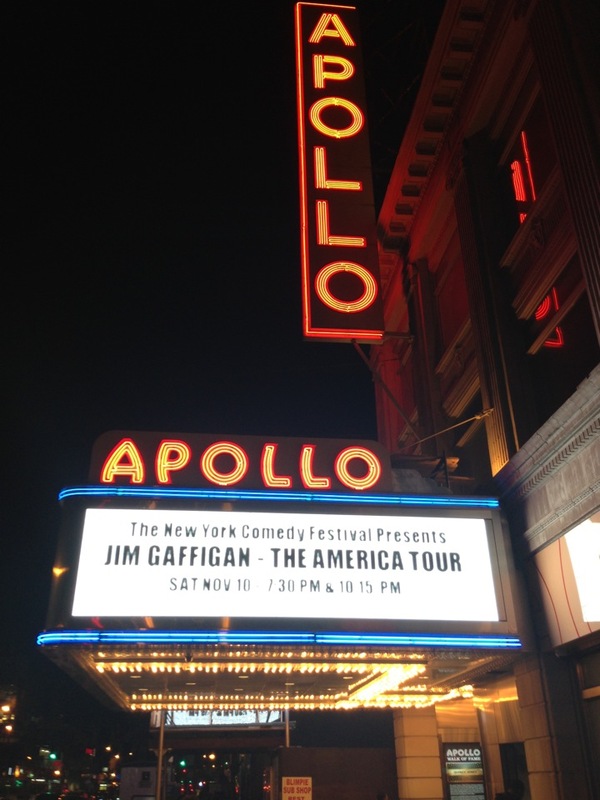 Gaffigan appears tonight in two shows at The Apollo Theater. His current stand-up tour resumes after Thanksgiving and extends through Spring 2013. Check out Jim Gaffigan’s tour dates here. Hanksy’s own gallery exhibit, meanwhile, opened this weekend at Krause Gallery, 149 Orchard St., New York, NY. His collection, which includes the faces of Gaffigan, Will Ferrell, Bill Cosby, Michael J. Fox (as Marty McFly), Ted Danson, and, of course, Tom Hanks. It’s up through December 2012. Here is Bill Cosby in the Hanksy work, Jello. 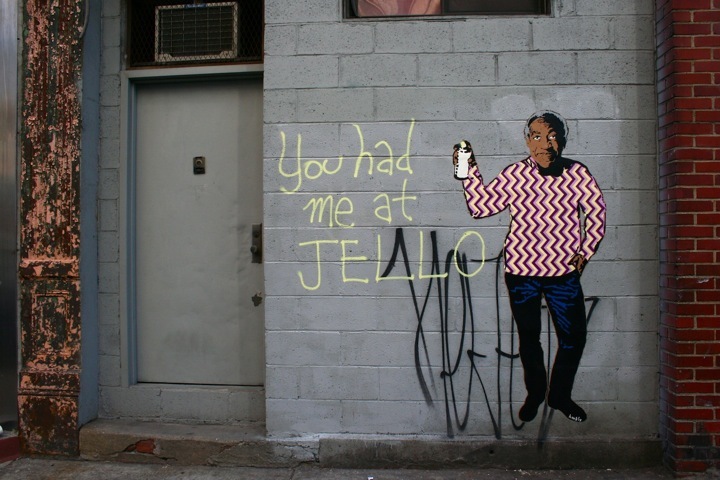 “You had me at Jell-O.” Indeed.